How to organise Parent Teacher Association? The first step towards the organisation of Parent Teacher Association, the teachers has to make a genuine attempt to win the confidence and co-operation of the parents. The parents cannot but offer this co-operation when they realise that the teacher is interested in the growth and well being of his child. The following tips may help the teacher to win the co-operation of parents. 1. Invite and encourage the parents to talk freely on all matters relating to the education of their children. 2. Patience to understand the child in the socio-cultural back - ground from which the comes. 3. Ability to interpret the functions of the school in relation to home and show parental co-operation facilities in education and pupil growth. 4. Extending understanding to the parents point of view. 5. 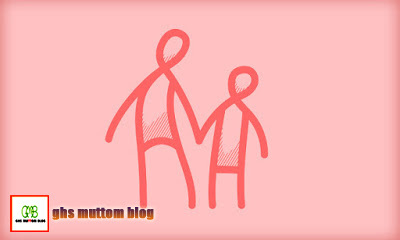 Making the parent believe that the teacher is really and sincerely interested in the growth and welfare of the child. Once good relations are established between teachers and parents it should not be difficult to form Parent Teacher Association at a conference of Parent and Teacher. Whenever organized, it should be an organization for fostering and developing understanding and co-operation between the parents and, teachers in, the community .around that school. The parents of pupils on the rolls of the school and teachers or the staff of the school shall become members of the Association.
? II. Functions of the Association? The following can be the functions of the association. 1. To promote understanding and co-operation between parent and teachers for the welfare of children and youth. 2. To work for the social, economic, cultural and educational advancement for better schools and better homes. 3. To organise teaching of arts and crafts and arrange for cultural programmes, conferences, functions and seminars. 4. To organise the study, teaching and to making the life of the community richer and happier. 5. To help and develop in children respect and regard for elder and teachers, common institution, our traditions and culture, etc. 6. To help parents assist the teachers in their work by taking a keen interest in the educational progress of their children and by periodical check up at home. 7. To help in improving the physical facilities in the school. The associations shall elect from among its members, the necessary office bearers, like President, Treasure etc. But the Headmasters of the school shall always be its convener. It will be good to evolve a convention by which teachers are not elected office bearers of the Association. PTA fund can be collected as per the amount given below if the PTA General body decides. PTA activities to download click the link below.